Well this is fun. 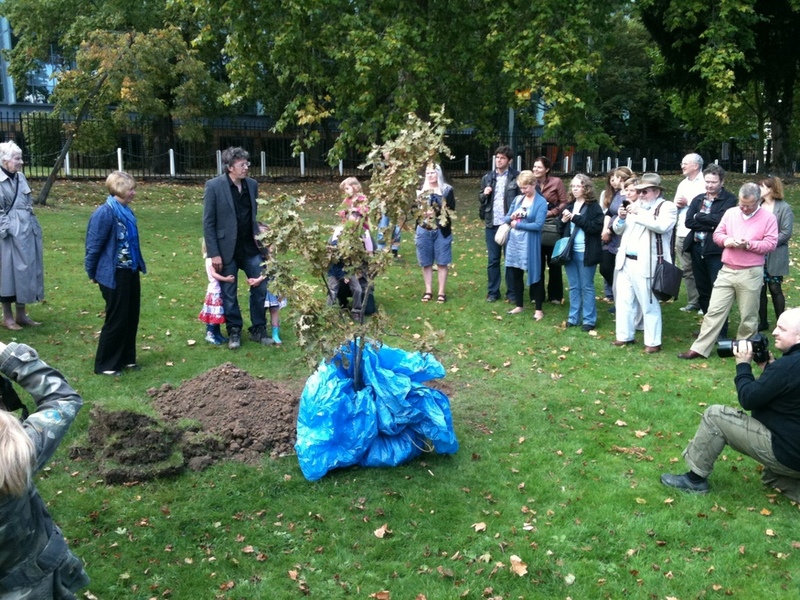 With the backing of the Blake Society, Peckham artist John Hartley has taken installation art to a new level by replanting William Blake's Angel Oak on Rye Common this afternoon. 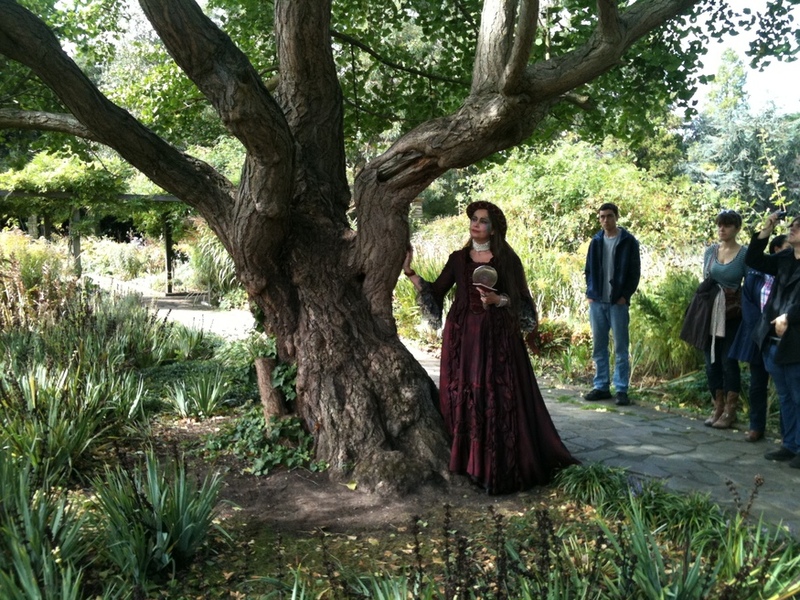 The sapling was sourced from an eroding part of the coast, symbolising the changing margins of society. The occasion was marked with ceremony and accompanied by appropriate Blakely verses. It was witnessed by around sixty onlookers, who were encouraged to help fill the hole by each spreading a handful of dirt. 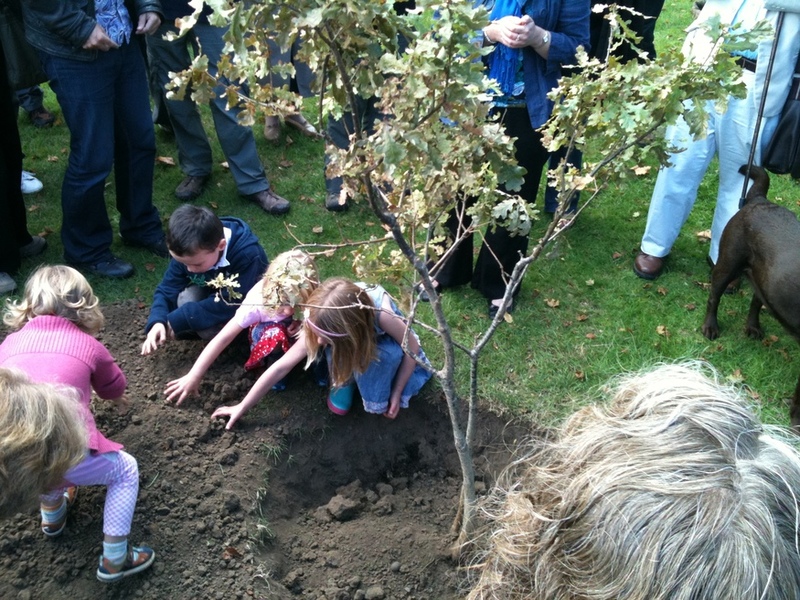 In collaboration with the Blake Society and the Forestry Commission, an oak sapling was saved from the eroding margins of England and transplanted to Peckham Rye as an invitation to future generations of Peckham Angels. Many many thanks to Scott Johnson for the photos.